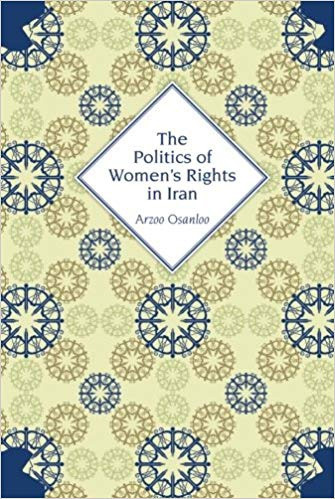 Osanloo takes the reader on a journey through numerous sites where rights are being produced—including Qur'anic reading groups, Tehran's family court, and law offices—as she sheds light on the fluid and constructed nature of women's perceptions of rights. In doing so, Osanloo unravels simplistic dichotomies between so-called liberal, universal rights and insular, local culture. The Politics of Women's Rights in Iran casts light on a contemporary non-Western understanding of the meaning behind liberal rights, and raises questions about the misunderstood relationship between modernity and Islam. Journal of Middle East Women's Studies, Special Forum: "Trump's Presidency and Middle East Women's Studies" 13(3): 479-482. New Middle Eastern Studies 5:1-18. PoLAR: Political and Legal Anthropology Review 35(2): 307–325. Indiana Journal of Global Legal Studies 19 (2): 495-505. Radical History Review 101: 42-58. In Injury and Injustice: Cultural Practices of Harm and Redress. A. Bloom, D. Engel, and M. McCann, eds., London: Cambridge University Press, 2018. Pp. 96-114. In Truth, Intentionality and Evidence: Anthropological Approaches to Crime and Tort. Yazid Ben-Hounet and Deborah Puccio-Den, eds., London: Routledge Press, 2017. Pp. 28-45. In Social Change in Post-Khomeini Iran. Mahmood Monshipouri, ed., London: Hurst Publishers, 2016. Pp. 91-112. In Women and Peace in the Islamic World: Gender, Agency and Influence. Yasmin Saikia and Chad Haines, eds. London: I.B. Tauris, 2014. Pp. 224-245. Yazid Ben Hounet, Sandrine Lefranc & Deborah Puccio-Den, eds. Paris: Editions L'Harmattan. Collection « La religion en question », 2014. Pp. 83-94. In A Critical Introduction to Khomeini. Arshin Adib-Moghaddam, ed. Cambridge: Cambridge University Press, 2014. Pp. 239-255. In Feminist Activism, Women's Rights and Legal Reform. Mulki Al-Sharmani, ed. London: ZED Books, 2014. Pp. 125-150. In Iran Confronting 21st Century Challenges: In Honour of Mohammad-Reza Djalili. H.E. Chehabi, Farhad Khosrowkhavar, and Clement Therme, eds., Los Angeles, CA: Mazda, 2013. Pp. 79-95. In Comparative Authoritarianisms: Syria and Iran. Steven Heydemann and Reinoud Leenders, eds. Stanford, CA: Stanford University Press, 2012. Pp. 127-142. In Family Law in Islam: Divorce, Marriage and Women in the Muslim World. Maaike Voorhoeve, ed., London: I.B. Tauris, 2012. Pp. 51-76. In Case Studies in Comparative Politics. David J. Samuels, ed. New York: Pearson Press, 2012. Pp. 407-447. (Blood Has Spilled: A Gendered Analysis of Crime and Punishment in Iran) S. Shahshahani, trans. Farhang va Ensan (Culture and Being), Tehran, Iran, 5(2): 103-122. In Policing and Prisons in the Middle East. Laleh Khalili and Jillian Schwedler, eds. New York: Columbia University Press, 2010. Pp. 263-277. China and Islam: The Prophet, the Party, and the Law. Cambridge: Cambridge University Press, 2016, Law and Society Review. Prozak Diaries: Psychiatry and Generational Memory in Iran. Stanford: Stanford University Press, 2016, Iranian Studies. Women in the Mosque: A History of Legal Thought and Social Practice. New York: Columbia University Press, 2014, Journal of the Society for Contemporary Thought and Islamicate World. Middle East Center, University of Washington. The Foreign Policy Centre, Iran Human Rights Review, Women and Human Rights. Political and Legal Anthropology Review Online. Curated Collections, Cultural Anthropology Online. Zannegaar Online Journal, Issue 11, "Law, Culture, and Gender," (in English and Persian). 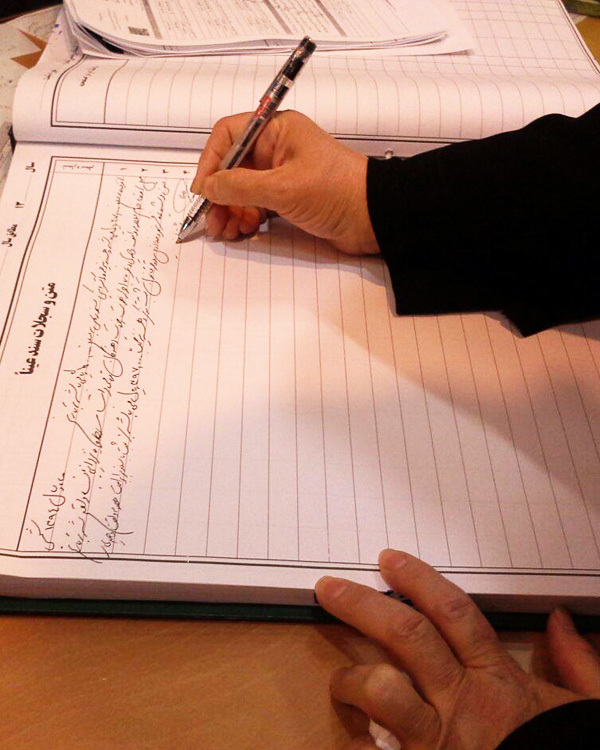 A mother signing forbearance agreement forgoing retributive punishment for her son's murder.